How do I clone existing campaigns? 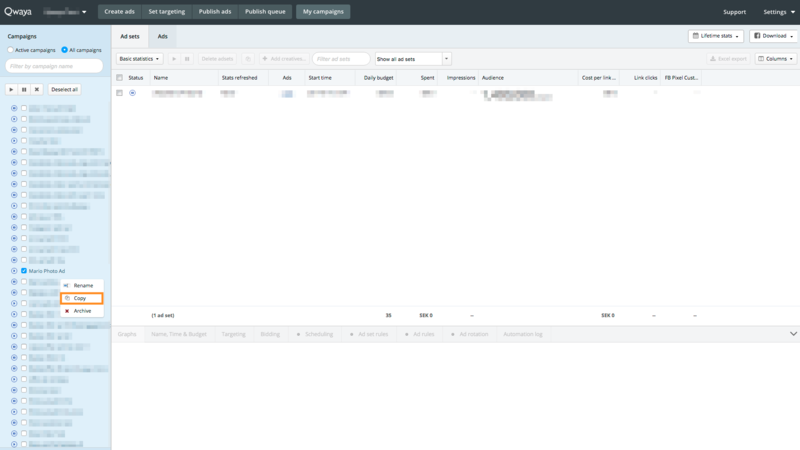 In order to clone an existing campaign all you need to do is navigate to the 'My campaigns' tab and select/right click on the campaign you wish to copy. 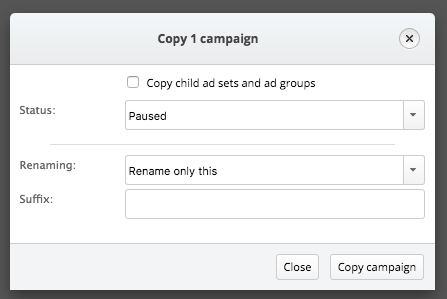 Once the pop up window appears change the status and name if desired and click on 'Copy campaign'.